CPD Certified: Attendees will receive a 3 hour CPD Certificate for their attendance and participation in this half day event. Public Affairs Ireland is a specialist training provider for the Public Sector with a core focus on areas of governance, regulation and compliance. PAI continues to acknowledge the ongoing focus for our clients in key industry areas including General Data Protection Regulations (GDPR) and Public Procurement (contract) management. In response to our clients learning needs PAI will host a half day seminar which will take place on Thursday 2 May, entitled; GDPR and the Impact on Public Procurement Contracts, as part of our 2019 Series of Update Seminars. PAI’s Update Seminars aim to provide our clients with current updates in techniques, processes, policies and legislation in topical industry areas relevant to the Public Sector. This half day seminar will analyse the niche intersection of two significant areas of law surrounding GDPR Requirements and Public Procurement Processes. The morning event brings together a panel of key industry experts who will offer insights on the legal complexities and practical application of this topic as it relates in a Public Sector context while providing a valuable forum for attendees to reflect on the opportunities to be gained through a better working knowledge in this area. This seminar will provide attendees with the ideal opportunity and a stimulating forum to discuss critical topics for the future of GPDR and Public Procurement, and provides a key networking opportunity for industry peers working within the Public Sector. Daragh O’Brien experience and insight spans over almost two decades and has resulted in Daragh becoming a widely respected and recognised expert in the global Information Quality, Data Governance, and Data Privacy communities. He has led Data Integration programmes and Regulatory Compliance teams in the telecommunications sector, coaches and trains Information Quality teams in the Financial Services sector, advises Public Sector bodies on Information Architecture, Information Quality, and Data Integration issues. Daragh works with organisations to help them understand the meaning and purpose of their information and how the quality (or lack of it) can affect that meaning and purpose, undermine strategic or operational goals, and add cost to the bottom line. A recognised and award winning innovator in the field of Information Quality and Data Governance, Daragh is the author of three books on the subjects of Data Quality Strategy, Data Governance, and Information Ethics. 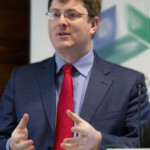 Daragh is a regular media commentator in Ireland and internationally on data management related issues and is a featured columnist wtih TDAN.com. Daragh and his associates have helped PAI design our new Data Protection Certification course. 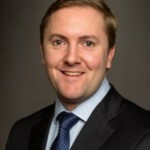 Doug McMahon, is a Senior Associate in McCann FitzGerald’s Technology & Innovation Group. Doug provides clients with advice in relation to information technology, outsourcing, commercial contracts, data protection, intellectual property, confidentiality and freedom of information issues. He regularly acts for a large number of private entities and public bodies in relation to data protection obligations, including advising on subject access requests, data security issues, record retention matters, data protection notices, policies and privacy statements. Laura Cullinane is a Specialist State Solicitor Higher in the Commercial Contracts section of the Chief State Solicitor’s Office. 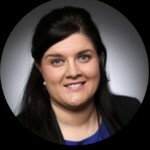 She has extensive experience in procurement law, contract law and data protection law. In her role in the Chief State Solicitor’s Office advises on all aspects of the public procurement process from pre-publication review of all tender documents (tender instructions, specifications, conditions of contract and evaluation criteria), publication of the initial advertisement in EU through to the conclusion of contracts with the successful tenderer. Laura also advises clients on data protection issues in the context of public procurement competitions and resulting contracts. All of our open programmes can also be run on an in-house basis. For more information, see our page on In-House Training.